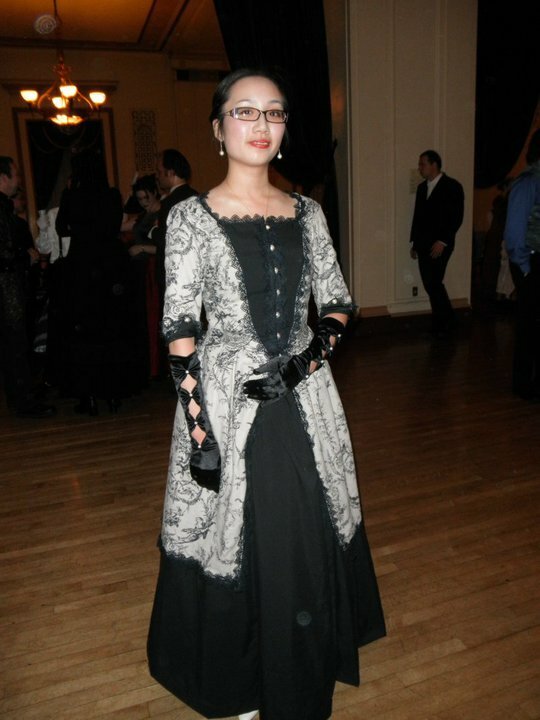 In June I am going to the GBACG Tissot Bustle Picnic, but I do not have time to make a new bustle dress from scratch. I am going to recycle an old dress into a newer one, which will hopefully leave me time to make accessories like a matching hat and reticule. 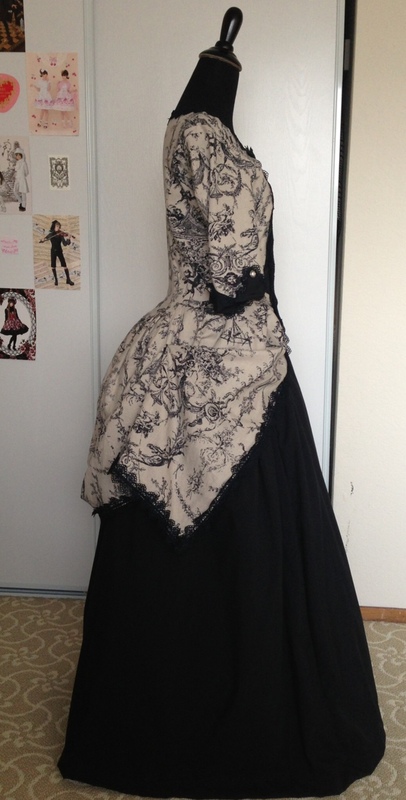 I tucked it up on each side, added a petticoat and it’s already looking more bustle-y! I did not have enough of the linen toile fabric when I made it to do pattern-matching, but I still have a few scraps left. (I had about 2.5 yards of 45″ fabric). 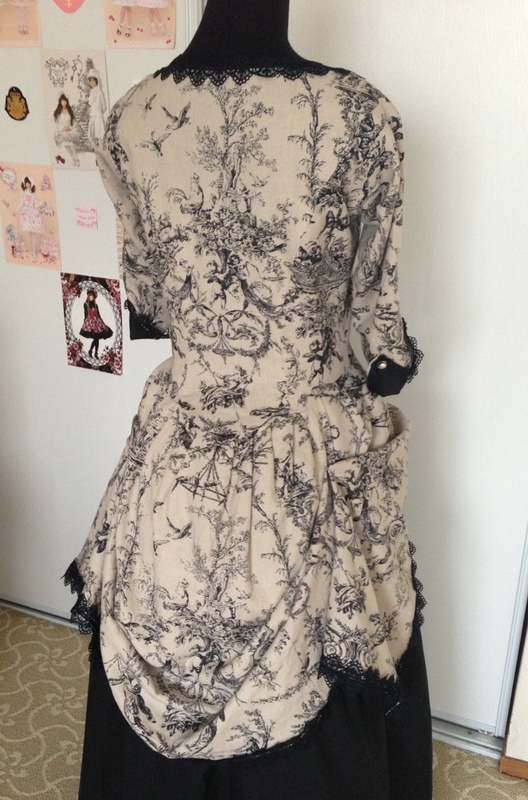 I am going to do some fiddling around with the leftover pieces of fabric to add some more frill to the back, and also experiment some more with tucking and pinning. Thank you! I’m glad it’s a bustle pad and not a cage. I think it will be a lot more comfortable to sit on! I will update when I finish the dress.